Do you look for divine appointments? I was reflecting on this story recently and am again challenged to get out of my fishbowl to engage with those God places around me. Who might God put in your path today to create a ripple effect for His Kingdom? "Today I went to grab my typical 15-minute lunch at Subway. I go there a lot because it's cheap and can be relatively healthy. In line, I noticed a Hispanic gentleman next to me. Having traveled a lot to Latin countries I decided to practice a little Espanol con mi hermano. He smiled at my attempts, and at the register - in Spanish - I told him, "God bless you." He then asked if I was a Christian and I happily replied yes. After paying for my sandwich I noticed he was seated alone so I did something unusual. I asked if I could join him for lunch. He seemed a bit surprised but was very happy to accommodate. I asked Antonio about his family and his job. I learned that he came to Texas from Guadalajara at age 19. He's now 70. He became the head groundskeeper for a very wealthy family in our community for over 30 years. It was clear that Antonio was a skilled workman that could be trusted. All four of his children became highly successful. One of them graduated with high honors from SMU. Antonio shared that the greatest thing that happened to him was finding a relationship with God- something he did not have at the beginning of his journey. He shared how God miraculously healed his wife Maria from cancer. He was so happy that all of his children and grandchildren still gather regularly for family time and prayer. They pray together, especially after seeing God heal their mother/grandmother. At the end of lunch, I prayed for Antonio. I told him his story reminded me of Abraham -how God sent him to another land and blessed his posterity. Antonio told me that I not only made his day but made his week! How cool is that? 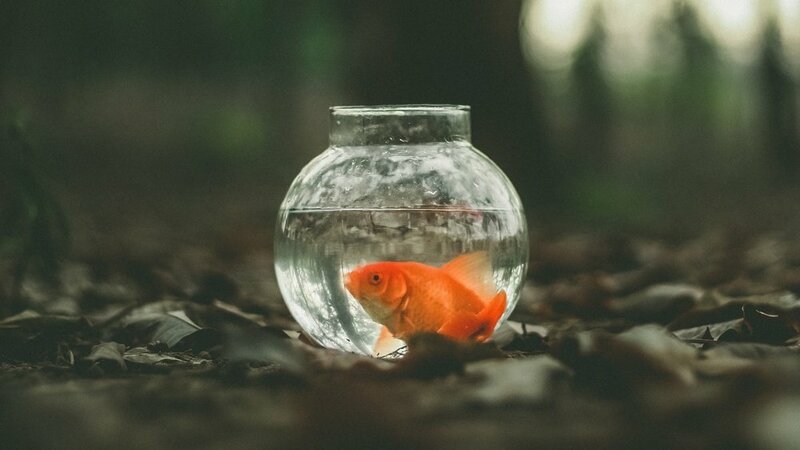 God taught me a great lesson today about getting out of my fishbowl. There's an ocean of people all around me from different backgrounds and cultures- people whom God loves dearly. So I'm challenging my friends and myself to jump out of the fishbowl! God might just surprise you by who you meet." I want to invite you to create kingdom ripple effects throughout the nations with Global Advance. Be a part of our upcoming Global Advance Ambassadors Day to learn more about this opportunity. Visit globaladvance.org/ambassadors to register.